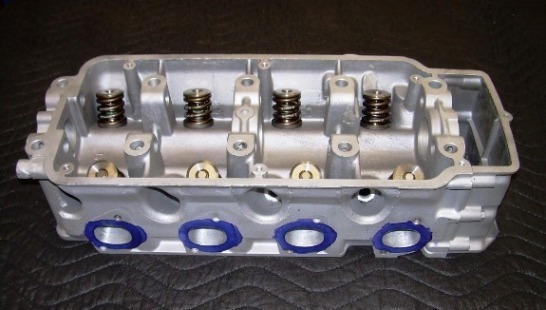 VAC Motorsports Stage 2 M10 Cylinder Heads have the advantages of Stage 1, but here real performance begins. Stage 2 heads have years in the field and have been fine tuned over the years to fully enhance the torque band and mid to top-end power. Compatible with all other cylinder head upgrades as well as forced induction. If you have no core available, a core can be provided. Please call or email for price and availability. Simply improving airflow is not enough, our heads are designed around improving velocity as well! Stage 2 is a great match for performance cams and/or internals. Our 6 angle & Radius valve job is superior in every facet of performance to all other multi-angle valve jobs. VAC - M10 Stage 3 Performance Cylinder Head – Maximum World Class Performance! VAC - Fuel Injector Service & Cleaning - 4 Cylinder – Highly Recommended! The Perfect Time To Service Your Injectors!